* This information is from Bonhams’ UK “Notice to Bidders,” and I’m not sure if it applies to Hong Kong sales as well. As a PDF of the specific auction catalog was not available online and as I couldn’t find anything specific to Hong Kong, please contact Bonhams directly to be sure of your ancillary costs. Let’s look first at the two lots with the lowest estimates that are listed at HK$3,100 each, which is equivalent to about US$400. Wine Consigners, a close-out retailer based in Beverly Hills, has the Mortet Clos de Vougeot at US$194 per bottle, which is a bit less than the maximum estimate for the two bottles of the same in Lot 104. Parker gave this offering a 90, and Wine Spectator rated it twice in the mid-80s, which are good but not great scores. 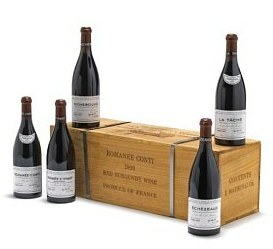 Two-hundred bucks is a lot of money to pay for good but not great wine. Unless you are a Côte de Nuits fetishist or particularly like Denis Mortet’s wines, at almost US$200 a bottle, this doesn’t really offer good value to my mind. The Chateau de Fesles in Lot 155 couldn’t be more different than Mortet’s Burgundian Pinot Noir in Lot 104, notwithstanding their lots’ identical estimated price point. A sweet Chenin Blanc dessert wine from the Loire, the super-cuvée La Chapelle had a tremendous year in 1990 according to the Wine Doctor when he tasted it 16 years later. “Deliciously fresh, and an amazing length, building to a crescendo some time after, and then slowly fading. Excellent.” Chateau de Fesles no longer makes the La Chapelle, so this offering is legitimately rare and is in its prime drinking window. The only bottle of the 1990 Fesles La Chapelle I could find online at retail was being sold in Australia by the Ultimo Wine Centre for AU$149.95 per bottle (approximately US$125). Back in 2003, Sotheby’s sold a 6 bottle lot of the 1990 La Chapelle for ₤92 (and two other six bottles lots in that auction for ₤80), so that should give you an idea of how much this wine has appreciated in value over the intervening years. If sweet wines are your thing, Lot 155 is worth bidding on, especially if you can get it for under the maximum estimate. Although it does not have one of the very lowest estimates in this auction, I might look at Lot 62 of a 12 bottle case of 2005 Chateau Beychevelle as an opportunity to get a good value. Beychevelle is a fourth growth estate in St. Julien that Parker says “too often does not live up to its pedigree.” But this reputation is something savvy bidders can use their advantage, as it means that Beychevelle is often well-priced compared to other Bordeaux chateaux. Especially since 2005 is regarded as one of the best vintages in memory, and the experts agree that the 2005 Beychevelle is a fine, if not spectacular, wine, it is a good target for value bidders. If you could get this lot at a price in the middle of the HK$5,900 to 7,000 estimate range, say for HK$6,500 (US$833), you’d be getting a deal considering that the average price for a bottle at retail is US$82. 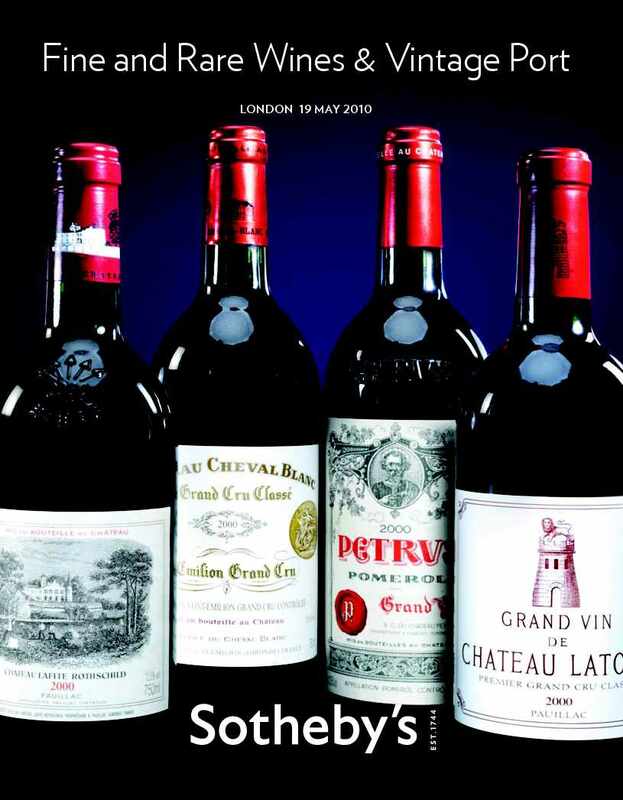 There are plenty of high priced Bordeaux lots in this auction – see, for example, Lots 1-3 that are all of Lafite and all estimated to sell for between US$18,000 and $40,000 per lot – but the most extravagant lot has to be the Methuselah of 1996 Domaine de la Romanee Conti of Lot 215 that is estimated to sell for up to HK$585,000 (equivalent to about US$75,000). This huge 6 liter bottle is from the Romanée-Conti vineyard and this namesake wine is beloved by collectors and drinkers alike, as are all the varieties of 1996 DRC. Whether that love is strong enough to merit a bid on wine that may cost upwards of US$5,000 per Burgundy-sized glass (415ml) is another question. As suggested above, Chateau Lafite Rothschild leads the way for red Bordeaux lots with its cases of the star vintage of 1982 (nos. 2-3 and 217), which are all estimated to sell for up to HK$312,000 (approximately US$40,000). If you want the taste of top vintage Lafite and you’re rich, but not that rich, consider Lot 52 of one bottle of the 2000 Lafite that has a maximum estimate of HK$35,900 (about US$4,600). As might be expected for what is considered by many the finest wine in the world, Lafite is consistently excellent every year. Nevertheless, both 1982 and 2000 are thought to be “exceptional” vintages by experts, and are notoriously difficult to get a hold of at any price. According to Wine-Searcher.com, the cheapest available bottle of 1982 Lafite at retail is being sold for US$3,199 plus shipping from Chicago. This means that if you are a serious wine collector in Asia, the 1982 Lafite lots in this Hong Kong auction might actually be, believe it or not, reasonably priced relatively-speaking when you factor in possible shipping and that the least expensive available bottle in Asia costs HK$38,000 (US$4,870).